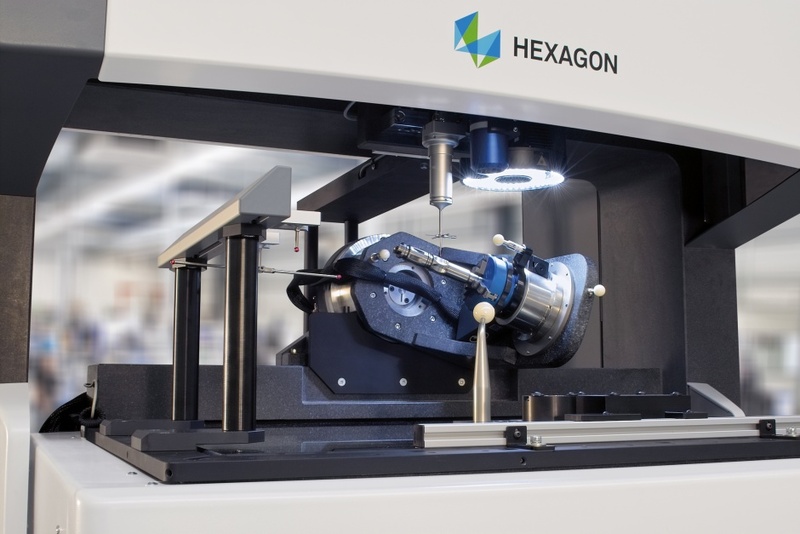 Hexagon Manufacturing Intelligence (HMI) has launched two new multi-sensor coordinate measuring machines (CMMs), the Optiv Performance 663 and 664 Dual-Z. Both machines can be configured for both tactile and contactless measuring in a single system. To save measuring time, different workpiece features can be measured without re-clamping. Both machines feature low-vibration granite construction, mechanical linear guides on all axes, backlash-free precision drives and integrated temperature compensation. The 663 model has a measurement range of 610 x 610 x 305mm, while the 664 takes the Z-direction up to 405mm. Another feature of both machines is that they can be fitted with two independent vertical axes for optical and tactile sensors. This prevents the inactive sensor from impeding machine movement, Hexagon explained, so that features within the workpiece remain accessible for programming and the risk of collisions is reduced. Dual-Z technology also allows the use of a motorised indexable probe head to carry the tactile sensor. For those workpieces that have rotational symmetry, the workpiece can be clamped in using the CNC rotary axis, which can also be made to swivel on an additional axis. Both models can use the CMM monitoring system MMS PUL, which monitors temperature, vibrations, humidity and machine status to give operators a complete picture of the machine environment. According to Wolfgang Froehlich, commercial product manager at HMI, the 663 and 664 Dual-Z represent future-proof measuring systems capable of handling a variety of different tasks. “The innovative Optiv Dual-Z and Optiv dual rotary options help CMM users to find the ideal positioning of sensors and the workpiece limits,” he claimed.